I have read more books than I can count during this pregnancy on preparing for an unmedicated birth. Some really resonated with me, and some were a little too deep for my liking (making a mental note now to add the books I’ve read to my resources page). One book in particular I really felt spoke to me. It’s title is Birthing from Within. It was spiritual but yet still modern. It offered tangible advice- things you could actually do to prepare that weren’t all in theory but still placed emphasis on how critical your mindset is when it came to birth. It was the perfect balance between the physical and mental for me. 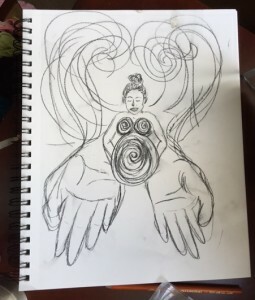 It talked a lot about “birth art” which encourages you to just create in any way you want with regards to what you envision for your birth. 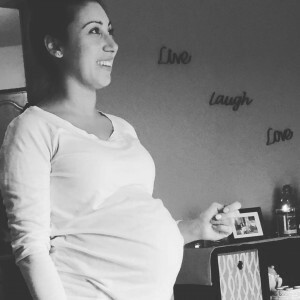 The purpose is to help you connect to the pregnancy, analyze your fears and apprehensions while helping you overcome them through visualization. I actually loved making a few sketches. It had been a while since I’ve sketched anything, something I used to love doing. The instructions were just to create. Whatever came to your mind regarding your birth. 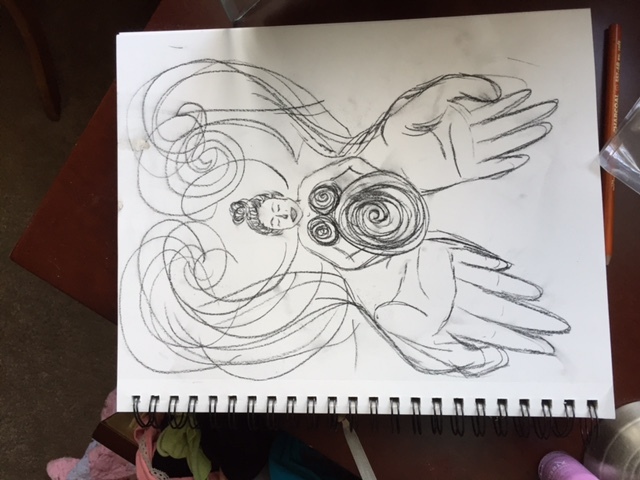 My sketches were of how I foresaw myself in labor. 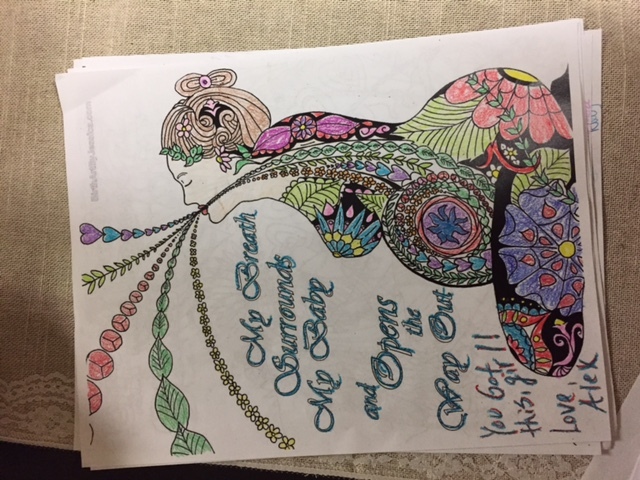 In my sketches, I am calm and connected, surrounded by a protective force and powerful energy. 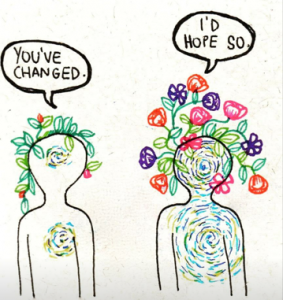 Why not envision a positive experience? 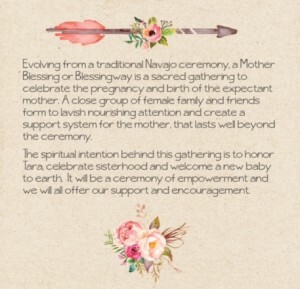 Another thing the book mentioned was this idea of a Mother’s Blessing or Blessingway- a traditional Navajo ceremony that made it’s way into mainstream. 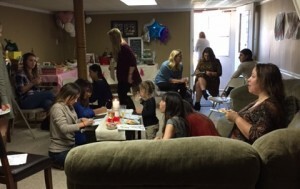 In the US, we throw most expectant women a “baby shower”. Where the mother is “showered” with gifts for the new arrival and cute games relating to babies are played. 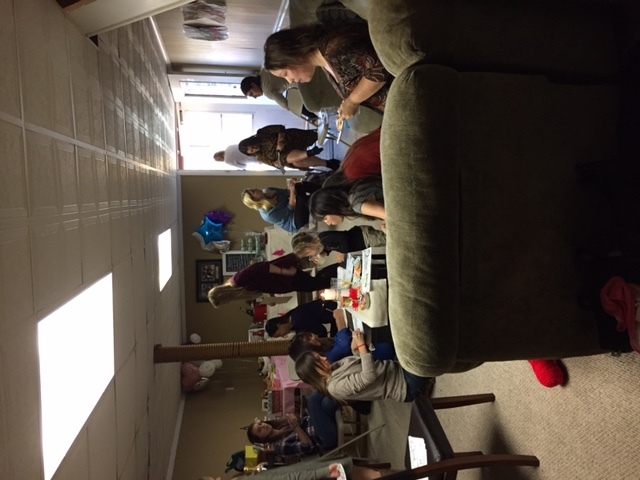 The one thing I find special about this tradition is most families get all they need to prepare for the new baby, all from the coming together of family and friends. It is a special showing of generosity and joy and maybe the last of that tribe mentality we have left. But somewhere along the line the Mother went missing from the tradition along with no mentions of the extraordinary event that is about to take place for her (the birth). 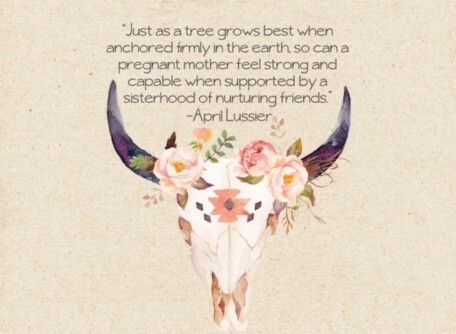 A mother’s blessing is different in the sense that the emphasis is placed on the mother and meant to encourage, support, and empower her leading up to her birth and celebrate her upcoming transformation. Gifts are not really expected- but who can help buying cute baby things? 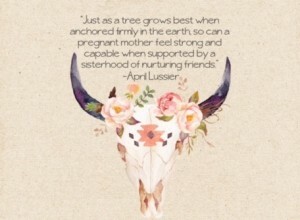 I’m not sure if I am just incredibly sensitive but my daughters birth and becoming a mother changed me forever. It deeply deeply affected me. And I can only assume birth is this way for every woman, or at the very least, some. So this whole mother’s blessing idea seemed really attractive to me and in line with my journey. One problem though, I thought for sure my friends would think I was crazy haha. I definitely am the odd one out when it comes to all of this crunchy parenting stuff. 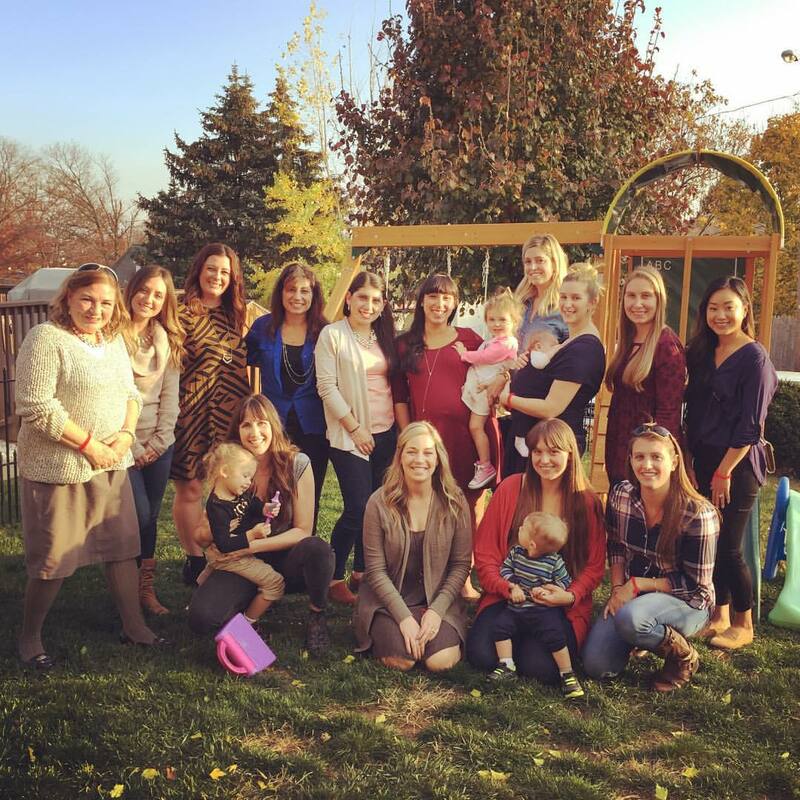 I didn’t know anyone who even thought about having an unmedicated birth let alone do something as crazy as plan a homebirth. So I wasn’t sure how it would go, but I thought what the hell… let’s just go with it. They’re my friends, they have already accepted my newfound hippieness at this point I’d hoped. 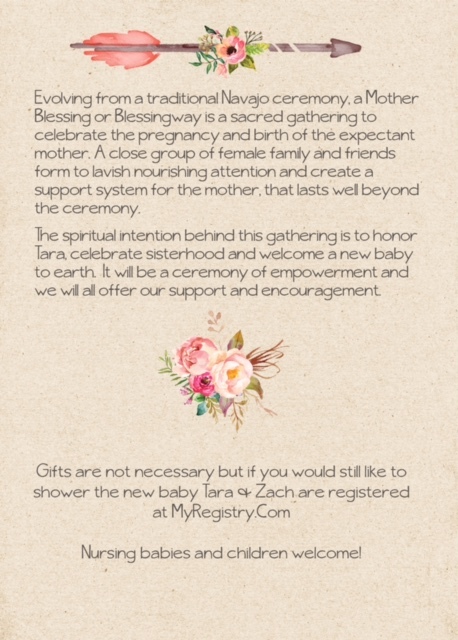 Traditional Mother Blessing’s can get very spiritual including group meditation, belly henna tattoos and paintings and even bathing the expectant mothers feet. To keep in line with my own comfort zone and personality as well as the women that would be attending, I put my own little spin on it. My doula generously offered to facilitate, and my mom with the help from my mother-in-law, and sisters (in-laws included) wanted to do the more traditional baby shower stuff for me which I am incredibly grateful for. 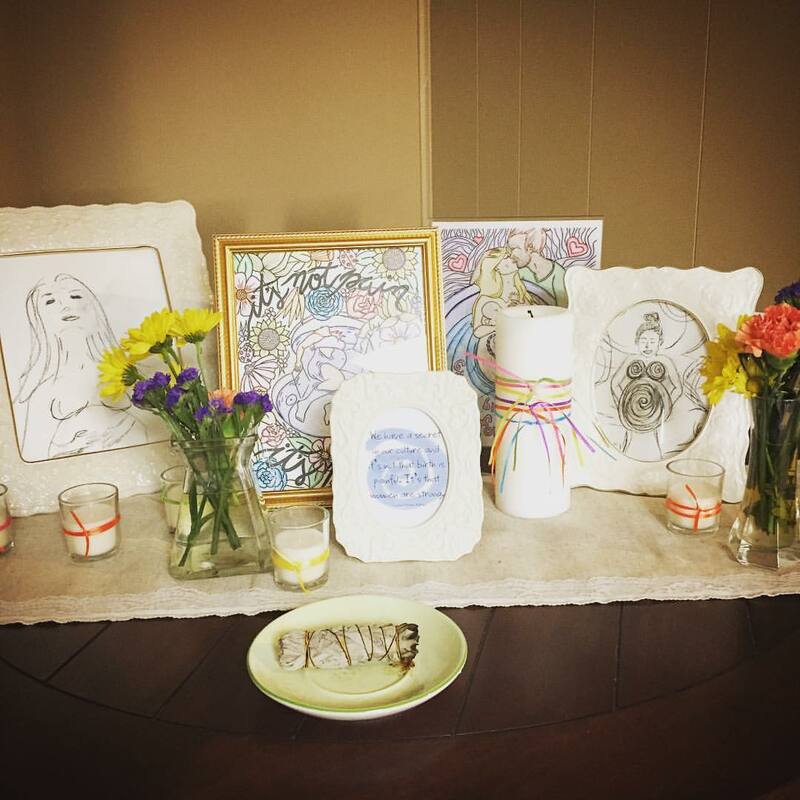 I created somewhat of an “altar” displaying some of the birth art I had made, and some birth affirmations and quotes I colored. I wanted the women to know what I was up to all this time… and it was pretty;). The “ceremony” started with all of the women sitting in a circle. My doula lit some sage to do a little mini cleansing which set the mood. I thought for sure my friends would be like what the hell is going on Ha and was super nervous. I am not good at being the center of attention, it makes me wildly insecure. My wonderful doula Angela then explained what a doula is and what her role will be at my birth. Sometimes when you are so immersed in a topic, you forget that others are completely in the dark. It didn’t occur to me that some of the women wouldn’t know what a doula was or had ever seen a “birth affirmation” before. 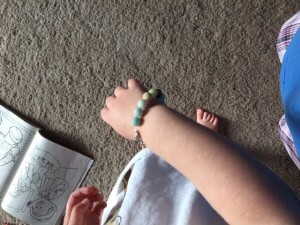 The first activity was to pass around a bowl of beads that were made from natural stones (considered to house energy and healing powers), and everyone say a silent blessing before stringing the bead on a bracelet. The bracelet I will then wear when I’m in labor to keep their blessings and energy with me. It actually came out so nice, I can’t wait to wear it. I liked it so much that I sat down with my daughter and said little blessings for her while making her own bracelet to wear during the birth. The next activity was called the “Web of Connection”. Where yarn was wrapped around my wrist and then passed around to each woman and wrapped around their wrist and so on creating a circle of connection. When the yarn got to you, you were supposed to say something encouraging to the expecting mother. When it gets to the end of the circle, the bracelets are cut and the women can wear the bracelet until the mother is in labor if they wish. (I obviously didn’t expect anyone to do this- but my mom and sister are still hanging on to theirs ha) I told everyone they didn’t have to speak since they all had just said such nice things. I know I get nervous speaking on the spot, and I didn’t want to make anyone uncomfortable. But again, I was surprised when everyone spoke. And the love received again was moving. 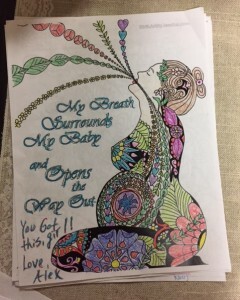 The next thing was for everyone to color a birth affirmation and write an encouraging message for me to see during labor. I plan on hanging them on the wall where the birth pool will be so I have them to encourage me when the time comes. The last ceremonial part was for everyone to take home a candle that matches the one I will have lit during labor. The women are to light it during my labor and birth to send positive vibes and thoughts and just be connected to me and the experience. The whole thing felt intimate and special and feminine. All the feedback I received was positive, no one thought it was awkward at all but rather they felt they learned a lot from the whole experience. I was surprised to hear many of them say I was an inspiration to them. It’s funny that you never really know what people are thinking of you. In my head, I thought all of my friends just chocked up my passion for breastfeeding and birth as something I was “into” and annoyingly so. But I truly feel every woman that was there is now a part of this journey with me and will hold a special place in this baby’s entry into the world. The experience will follow me well after this birth. 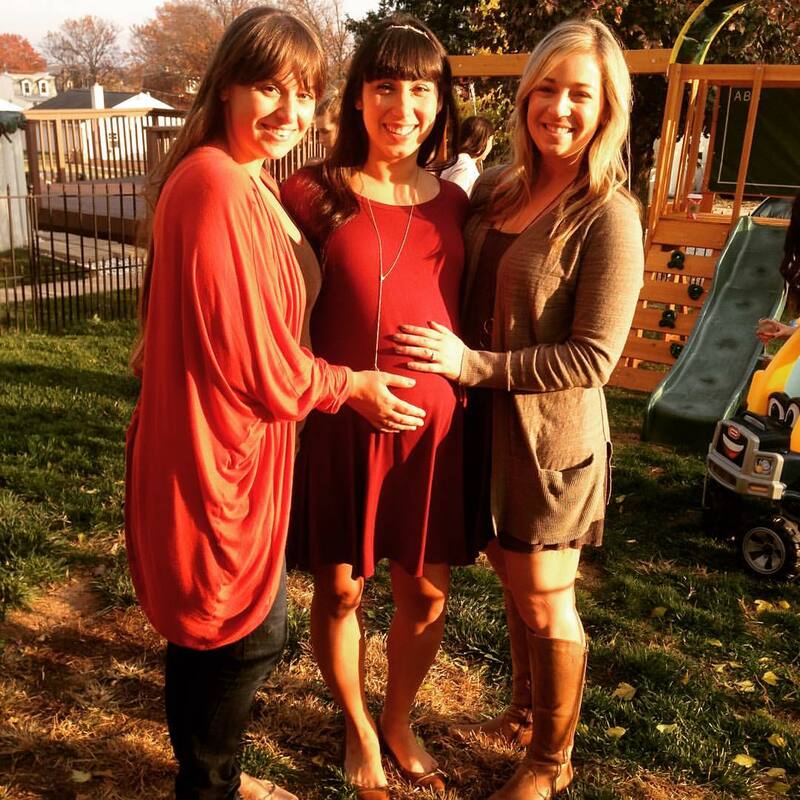 It was a beautiful thing to feel so supported and loved and encouraged when the idea of homebirth or anything considered “different” is usually met with ridicule. I realized how much every woman there meant to me and how motherhood may sometimes feel lonely, but in reality we are all connected to every mother and woman out there through this tremendous thing we all did or are capable of doing. 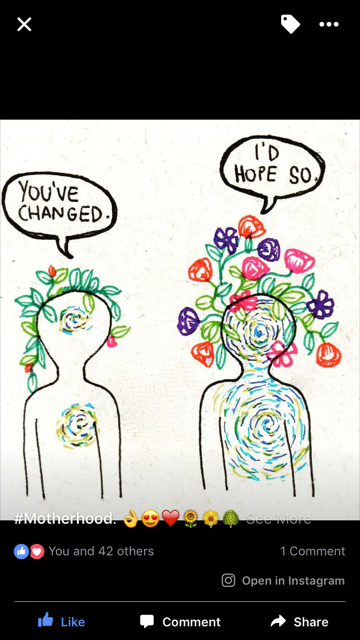 Maybe that “glow” we hear of is nothing more than the light radiating back at us from all of the women before and after us. I feel blessed to be able to share such a special time in my life with the women I hold close to me. And I suddenly don’t feel so alone on this journey. They made me feel special, and I think that’s how every pregnant woman deserves to feel. This entry was posted in Birth, Birth, Childbirth, Labor, Mother's Blessing, natural birth, Pregnancy, Pregnancy & Birth and tagged Birth, Mother's Blessing, Pregnancy.